The last of the 2011 Nissan Maximas are at Windsor Nissan in East Windsor New Jersey. Hurry in today before they are all gone! 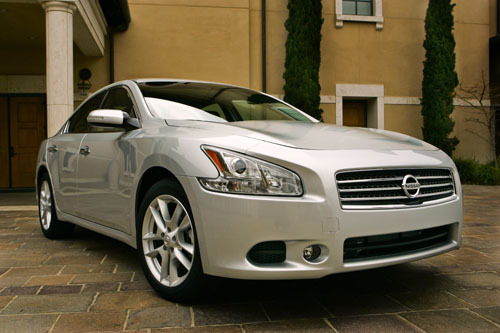 For 2011, the Nissan Maxima receives only minor updates, including new Metallic Slate, Pearl White and Brilliant Silver exterior colors. SV Sport-optioned models get smoked headlights, a dark chrome grille and unique shiny gray interior stitching. The Maxima‘s sporty styling and handling plus its long list of standard features makes it a solid performer in its segment. There are two trim levels, plus Sport and Premium packages, which can be added for the maximum in comfort and technology. The 2011 Nissan Maxima S and SV both come with a 290-hp 3.5-liter V6 engine and a continuously variable transmission with manual mode. Anti-lock brakes and electronic brake-force distribution are standard equipment, plus speed-sensitive power steering. The Maxima’s sporty styling is evident in its dual mufflers with chrome-tipped finishers, LED taillights and power sliding moonroof. It’s even got 18-inch alloy wheels, though 19-inchers are available with the Sport Package. The Maxima isn’t all about looks, though. All of its safety features are standard equipment, like traction control, tire pressure monitoring, an energy-absorbing steering column and the Nissan Advanced Air Bag System. Even with all these systems on board, the Maxima still manages a respectable 19 mpg in the city and 26 mpg on the highway. The interior has leather seats, shift knob and steering wheel. The 8-way power driver’s seat has lumbar support, while the passenger has to make do with a 4-way power seat. The rear bucket seats fold down with a 60/40 split. Dual-zone climate control with air filter is standard, including rear-seat air conditioning controls. 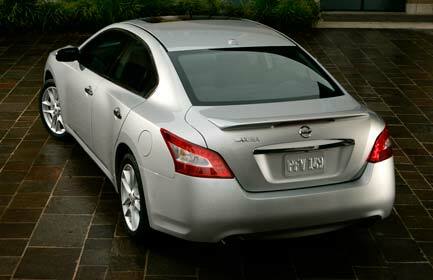 Everything in the Maxima is power, from the push-button start to the remote windows-down function. The packaged options for the SV add quite a bit to the already-long list of features. The Monitor Package adds a 7-inch monitor with rear-view camera and a 2GB Music Box flash drive, and the Cold Package heats the mirrors, front seats and steering wheel. The Sport package gives the Maxima SV a sportier feel with a tuned suspension and 19-inch wheels, smoked headlights, plus a rear spoiler, dark chrome grille and unique shiny gray interior stitching and metallic trim. 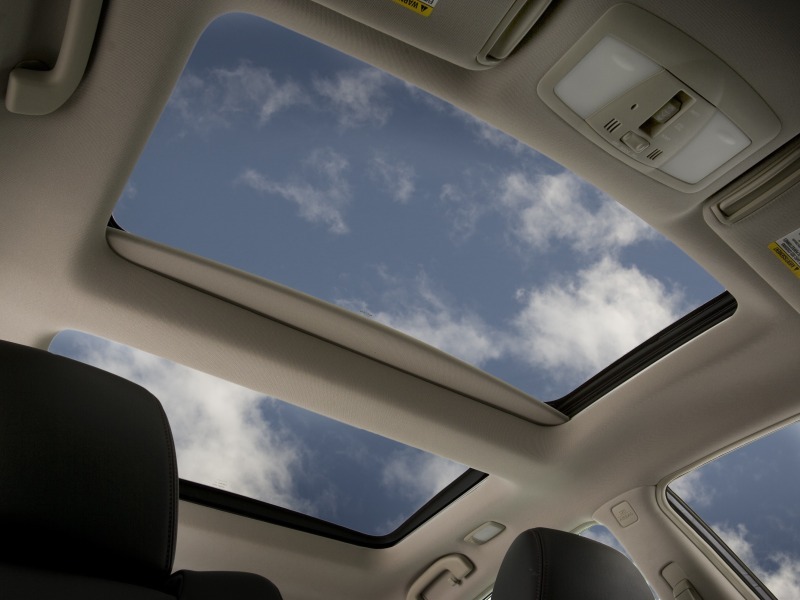 The Premium Package plays to the more luxurious side of the Maxima, with a dual-panel moonroof, heated and cooled driver’s seat and eucalyptus wood-tone interior trim. Both the Sport and Premium packages include the Monitor package, plus paddle shifters and HID xenon headlights.